A 75-year-old man has been killed in Florida after he was attacked by a large flightless bird he owned. 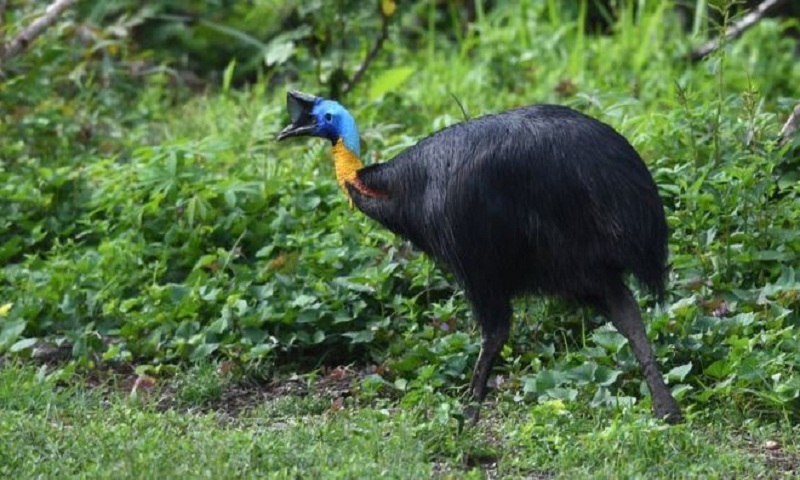 Alachua County Sheriff Department told the BBC they were called to the man's property on Friday and found the man badly wounded by a cassowary. The man, named Marvin Hajos, was taken to hospital by paramedics where he died from his injuries. Police are investigating but say initial information suggests this was a "tragic accident". It happened south of the city of Alachua in northern Florida. "My understanding is that the gentleman was in the vicinity of the bird and at some point fell. When he fell, he was attacked," Deputy Chief Jeff Taylor told the Gainesville Sun newspaper. A woman at the property, who identified herself as Mr Hajos' partner, told the newspaper he had been "doing what he loved". Mr Hajos had kept exotic animals, including llamas, for decades, reports from local newspapers say. Similar in appearance to emus, cassowary are among the largest and heaviest bird species in the world - and can weigh more than 100lb (45kg). The birds can run up to 30 mph (50km/h) and have a five-inch claw on each foot. The Florida Fish and Wildlife Conservation Commission consider cassowary a Class II species, which require a permit for ownership. Police say the bird involved in the incident remains at the property. Meet the baby whose amazing hair is so huge!